"You can't play it safe in love…" The Orchard + Netflix have debuted the first official trailer for an indie drama titled Duck Butter, premiering at the Tribeca Film Festival coming up. If you really want to know what the title means, look it up on Urban Dictionary and you'll understand. The concept of the film involves two women who meet at a concert, played by Alia Shawkat and Laia Costa (from Newness), who decide to spend 24 hours together. They try to fast-forward through a relationship, hoping to find a new way to create intimacy and explore romance. The cast includes Mae Whitman, Hong Chau, Kumail Nanjiani, Mark Duplass, and Kate Berlant. This was also produced by the Duplass Brothers, and has that quirky indie charm that they're best at nurturing. Seems like it might be emotional yet enjoyable. Get a first look. Two women, who are dissatisfied with the dishonesty they see in dating and relationships, decide to make a pact to spend 24 hours together hoping to find a new way to create intimacy. 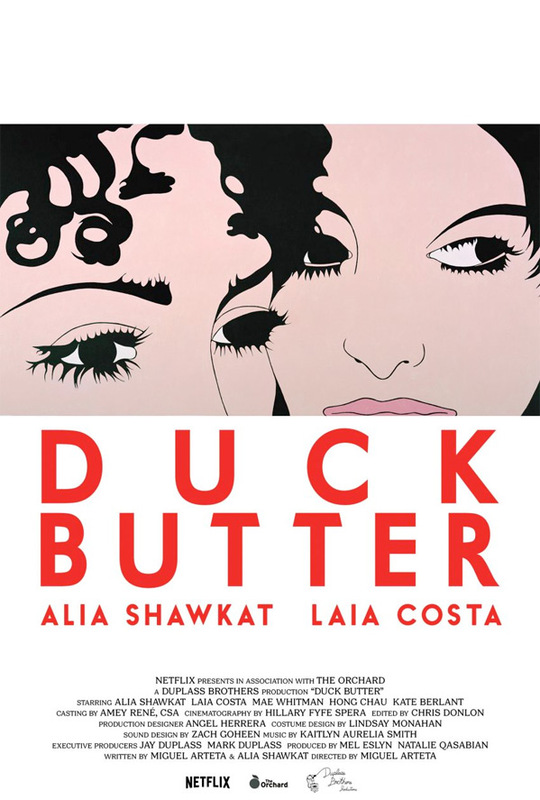 Duck Butter is directed by Puerto Rican filmmaker Miguel Arteta, of the films Star Maps, Chuck & Buck, The Good Girl, Youth in Revolt, Cedar Rapids, Alexander and the Terrible Horrible No Good Very Bad Day, and Beatriz at Dinner previously. The screenplay is co-written by Miguel Arteta and the film's co-star Alia Shawkat. This will be premiering at the Tribeca Film Festival. Despite Netflix & The Orchard on the poster, the film has no official release date yet, awaiting its festival premiere. Stay tuned for updates. First impression? Who's interested?